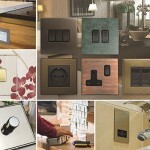 Building and Facilities News is proud to have selected Greenbrook as our featured Electrical Accessories Company of the Month; experts in their field, Greenbrook have been doing right by the customer for over 60 years, and their commitment to the customer remains unwavering. 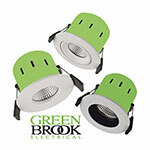 For the ED&I Expo Show at the NEC this September, GreenBrook Electrical will launch the new VELA Advance LED Fire rated fitting to the market. We are confident this new range will become one of the highest specified products in LED fire rated lighting. PowerBreaker – Relaunched, Refreshed, Revitalised! GreenBrook has relaunched its market leading brand of Powerbreaker RCDs by increasing the range to offer the most comprehensive selection of RCD safety products on the market. Building and Facilities News is extremely proud to present Hamilton Litestat as its selected Electrical Manufacturing Company of the Month. In the world of lighting, LED has become an unstoppable force. It is now difficult to envisage a refurbishment or new build that does not feature LED lights within its lighting scheme. Building and Facilities News is pleased to present Greenbrook Electrical as its highly regarded Electrical Manufacturing Company of the Month.